Vets Helping Vets TV had the honor of filming an interview with Jeanne Buchanan, a U.S. Army Veteran and Stephanie Stone, a U.S. Navy Veteran. 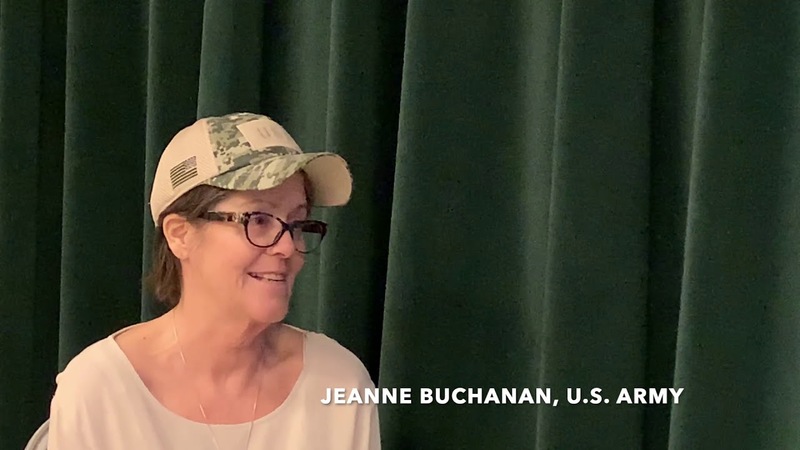 Stephanie is the Chief Deputy of the Los Angeles County Department of Military and Veteran Affairs and she interviews her friend, Jeanne who has cancer and is in hospice. Jeanne lives her life in service to others and For the last 3 years, she goes out on Christmas Day and gives gifts, food and items like chap sticks and socks to the homeless on Skid Row. This tradition began when she became homeless and was in a shelter for 4 months. Eventually she returned to work and was able to get a small apartment in downtown Los Angeles and never forgot being homeless and gives back to others in need. Filmed March 11, 2019 at the Bob Hope Patriotic Hall, Los Angeles, CA. and co-produced by Sheryl Shaffer and Sandy Dee using 2 i phones, 1 Canon Vixia camera and edited on the i movie.